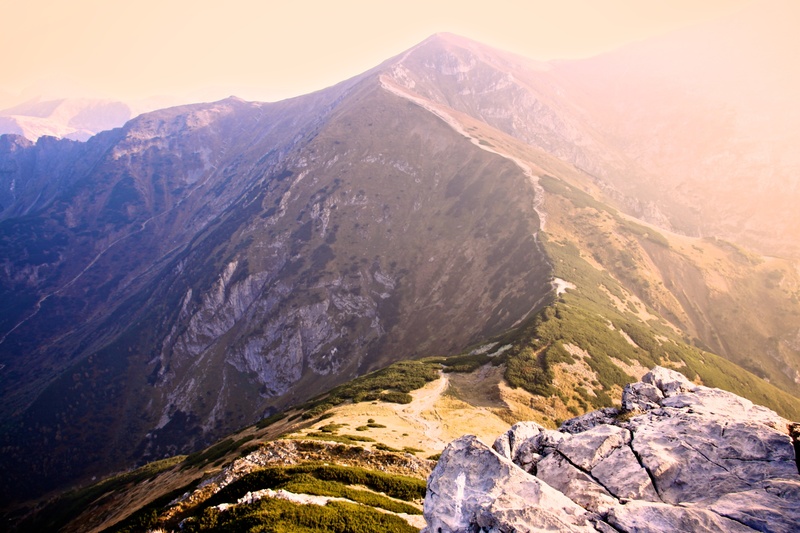 We would like to invite you for a trip to Zakopane – the winter capital city of Poland. It will acquaint you with the folklore of Polish highlanders, their music and tasty dishes served in regional restaurants. On the hiking trails you will be delighted by the beauty of mountains (our proposal does not require any special physical skills). We would like to show you also other mountain ranges – Pieniny, Gorce and the oldest but still charming Świętokrzyskie Mountains.  Meeting with guide in Krakow and transfer to Zakopane. 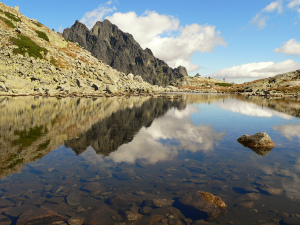 After arrival trip to true pearl of the Tatry – mountain lake Morskie Oko, where you will admire the mirror image of the highest mountain peaks which surround it. Free time on the main shopping street of Zakopane – Krupówki. Dinner and overnight stay. Breakfast. 12.00 trip by cable car up the Kasprowy Wierch (1987 meters above sea level), return by cable car or on foot (about 2.30 h). Later a trip to Chocholow – the greatest example of a wooden village (where most of the wooden houses were built in the 19th century), visiting a local sculpturer’s workshop and a sheperd who makes a famous cheese called oscypek. Dinner in a local restaurant, called Karczma (with folklore music and a horse-drawn carriage ride) and overnight stay. After breakfast trip to the Pieniny Mountains – visiting a castle in Niedzica, a wooden church in Dębno Podhalańskie (UNESCO World Heritage List). The Church of St. Michael the Archangel was built in 1490. The interior church walls are decorated by unique painting and polychrome work from the 15th century, featuring geometric and floral motifs. 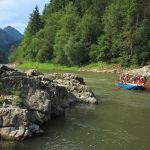 Taking part in one of the best-known tourist attractions in the Pieniny Mountains – picturesque (safe and dry) rafting on Dunajec River Gorge. 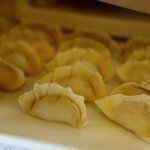 Dinner and overnight stay in Kroscienko. Early morning trip to the highest peak (but easy do climb) in Pieniny – Trzy Korony (982 meters above sea level) to admire sunrise. Breakfast in a mountain hut. 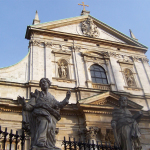 Later on drive to Krakow, guided city tour of the Old Town (UNESCO World Heritage List): the largest medieval market in Europe- Main Market Square, the Cloth Hall, Town Hall, St. Mary’s Church with an altar by Veit Stoss, Jagiellonian University, Royal Road and the Wawel Royal Castle. Coffee break at the famous and one of the oldest Krakow cafes – Jama Michalika. Dinner in a local restaurant and overnight stay. 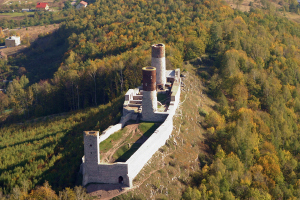 Breakfast, drive to the oldest mountains in Poland – Swietokrzyskie Mountains, visiting ruins of former royal castle from 13th century in Checiny and Paradise Cave (Jaskinia Raj). Despite its small size, it is regarded as one of Poland’s most beautiful caves. Its corridors lead through five chambers ornamented with stalagmites, stalactites and columns of rock created over thousands of years. Return to Krakow, dinner and overningt stay. Breakfast, free time and departure.